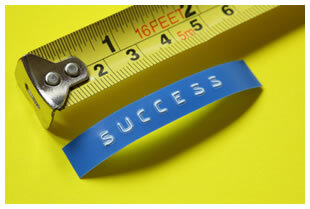 The (Pro)Youth Worker: Success in Youth Work Is Linked Measurable Goals... Right? Success in Youth Work Is Linked Measurable Goals... Right? I was working as a cell phone repair tech and salesman in my home community. I liked the job. Working with electronics was a lot more cut and dry than working with teens. When they were broken you fixed them or replaced them. That doesn’t work so well with people. They don’t want to be “fixed” and they can’t be replaced. Everything was going great until some of the students I used to work with came in. I talked with them about cell phone plans and what would be best for them. As they left I felt something inside me grieve the fact that I used to talk with them about things that really mattered. Was I running away from a calling? To be honest, I never really felt as though I was going to be a career youth worker. I enjoyed having an excuse to be immature and all, but I figured I could do that on a volunteer basis. I really felt as though youth workers needed good volunteers that they could rely on. Wasn’t that a good enough goal? Success as a volunteer was much easier to measure. (I showed up to youth group and lead the games. Check). Plus you don’t have to attended nearly so many meetings nor deal with all the politics. I wouldn’t. I would feel a bit of grief and be done with it. I was ready to move on with my life. I was just finishing up college and I was newly married. Life was good. Life was fun. Then tragedy struck our lives as my wife’s younger brother died at the age of 21. A local church was moving forward on a plan to do something in his honor. I volunteered to help, never intending for it to be anything more but when I was offered a job as the youth pastor I didn’t feel I could say no. In the midst of the experience I thought that this was different than the other goals that I had in the past. This was a project based job, not so much people oriented. I really found something that I could measure success against. When you work with people all you have to gage how good you are is if expectations are met. The problem is that everyone has different expectations. The project was the ticket. I was sure of it.